The SR40/HC hypercardioid capsule was the starting point for the SR40V, with a new rugged and larger body for handheld use. 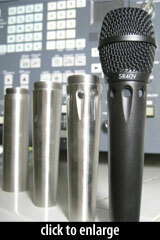 The mic has an extended flat frequency response up to 40kHz and very fast transient response. Each mic is hand-tuned and tested, and the circuit is matched to each capsule for optimal performance. Overall, I discovered that the SR40V has the inherent quality and smooth top-end extension of a “studio” mic but one that is, by design, quite useful when placed a little closer to sources, taking advantage of some proximity effect just as is often done in live sound reinforcement. The SR40V mic was immediately impressive. It exhibited extremely smooth, extended frequency response, even but not pronounced proximity effect and an incredibly stable uniform hypercardioid pattern. 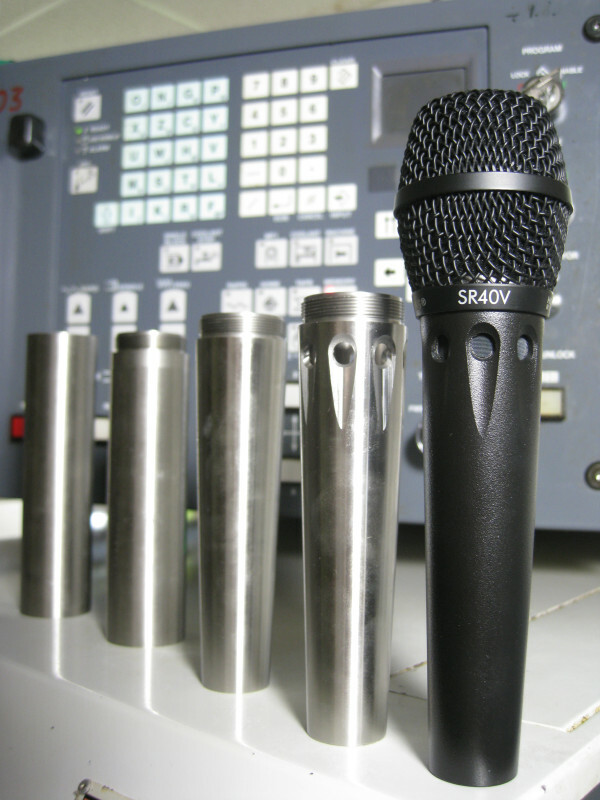 The SR40V, like all Earthworks mics, is manufactured in the company’s New Hampshire factory. Pictured at right is the body for the SR40V in various stages of machining. The SR40V ships with stand mount and rugged plastic touring case.